Reading Masuji Ibuse’s Black Rain was an intense experience. Beautiful and horrifying. In all honesty though I have to say the horror prevailed and I have to contradict those who say it’s not depressing. For sure, Ibuse isn’t a manipulative writer, he doesn’t strive for emotional reactions in his readers, but still, I couldn’t help being affected by what I read as no amount of toning down – something Ibuse has been accused of – can minimize the atrocity of what people had to endure on August 6 1945, in Hiroshima and the days and months that followed the bombing. I think one hast to call Black Rain a documentary style novel. In order to write the book Ibuse has used real diaries and notes of victims and incorporated them in his book. Additionally the descriptions are so detailed and often matter-of-fact that the book reads in parts like a non-fiction account. The main story is the story of Shigematsu Shizuma’s niece Yasuko. She would like to get married but a marriage is endangered as there are rumours that she got in the Black Rain after the bombing of Hiroshima and suffers of radiation sickness. Shigematsu himself is afflicted by a mild form of radiation sickness which he tries to fight by eating as healthily as possible and with mild exercise and a lot of rest. At the beginning of the novel which starts a few months after the bombing, Yasuko shows no signs of sickness at all. In order to help his niece and to prove that she didn’t get in the Black Rain and is not ill, Shigematsu starts transcribing his niece’s and his own diary covering the days before and after the bombing. The diaries are meticulous and incredibly detailed accounts of those days. The novel moves back and forth between the diary entries of August 5 – 15 and the present in which the entries are copied. I have seen pictures of Hiroshima and read a few things but never anything like this book which was absolutely overwhelming in its details and the way it captured human suffering. The descriptions always move back and forth between individual and collective experiences. There were descriptions of people who had only mild burns and some whose whole body was an open wound. Some died in agony, some in grotesque positions. There were descriptions which showed how some people afflicted by radiation sickness a few days or weeks later died suddenly while others agonized for months. Towards the end there is a real account of a doctor who served in the infantry and was almost directly under the bomb when it exploded. It was unbearable to read about the suffering he went through. I was surprised to see what an important element food is in the book. We read detailed accounts of what food was available during the war, how it was prepared and how they had to substitute a lot. Food is also one of the major elements in a successful treatment of radiation sickness. It was fascinating and sad to read. What shocked me more than anything else, more than the descriptions of the wounded humans and animals and the ensuing total chaos, was the utter helplessness which was expressed in the way how they spoke about the bomb. They had no clue what had happened. They knew it was something unheard of, never used before, but they didn’t know anything specific. What were the effects? Were burns the only thing or would there be more to come later? How did you treat radiation sickness? Days later they find out what had hit them. “The name of the bomb had already undergone a number of changes, from the initial “new weapon” through “new-type bomb” to “special high-capacity bomb.” That day I learned for he first time to call it an “atomic bomb”. The confusion and helplessness of the people is terribly sad. Even more when you read how they started to realize that even people who were not in Hiroshima on August 6, but part of rescue teams who came later, all died. This meant that each and every person who had been in Hiroshima on the 6th or came later would have to wait, sometimes for months, to be sure they were not affected by radiation. After having read all this you will probably wonder why I called this book “beautiful”. I thought it was beautiful because the way Ibuse describes the Japanese culture, Japanese sensibilities, the descriptions of the food, the habits, some customs and many details of things we are not familiar with is full of beautiful moments like this description of Shigematsu’s childhood. As a boy, Shigematsu had seldom come to the flat rock to play, but he had often been to play under the ginkgo tree at Kotaro’s place. When the frosts came and the ginkgo tree began to shed its leaves, the roof of Kotaro’s house would be transformed into a yellow roof, smothered with dead leaves. Whenever a breeze sprang up, they would pour down from the eaves in a yellow waterfall, and when it eddied they would swirl up into the air – up and up to twice, three times the height of the roof – then descend in yellow whirlpools onto the road up the slope and onto the oak grove. Of course the same culture which had such a lot of beauty was also trapped in a destructive system of total obedience which is mentioned more than once in the novel. It takes a masterful writer to be able to convey so much insight into a culture and render a tragedy the way he did it. While Black Rain was not an easy book to read and has to be absorbed in small doses, I think it’s an outstanding book. Without ever accusing anything or anyone Ibuse shows drastically that in the case of Hiroshima the end didn’t justify the means. The review is my first contribution to Bellezza’s Japanese Literature Challenge 6. 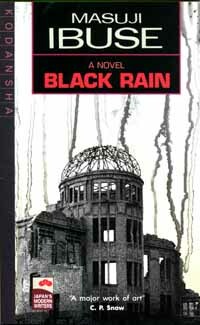 Black Rain was the seventh book in the Literature and War Readalong 2012. The next one will be Aaron Applefeld: The Story of a Life – Sippur chajim. Discussion starts on Friday August 31, 2012. I’m so pleased you liked it – I too found it a profoundly moving, almost horrifying book. I liked it so much, I wrote about it in my B.A. thesis! Yes, I did. It’s horrifying but he made the most of this awful topic, it’s horrible but there is beauty here and there. It’s an outanding book. This is really a book which deserves research and being mentioned. I’m a little more than halfway through this novel. While it isn’t as distressing as I thought it would be, it is terrible in its own “gentle” way, and I’ve been taking it a bit slower than usual. I’m reminded of the horrors I saw in my own country after 9/11, when the people were escaping covered in dust and ashes absolutely bewildered about what had just happened. I guess ultimately war is war. People hurting and killing each other is universal no matter what country it takes place in, and my heart breaks for the suffering and the loss. It doesn’t seem that such grief can be justified, to me. War is always horrible but the incredible side and after effects of this bomb are of particularly awful kind. I’m looking forward to your review. This novel sounds like an intense read. I thought that even reading Joy Kagawa’s “Obasan,” which touches lightly on Nagasaki but at the same time not being gentle about it, was pretty traumatizing. At the same time, it’s something that needs to be remembered and understood. I still haven’t read Obasan. I should. I totally agree, this should never be forgotten. I found this book takes a lot of writing between the lines, it is toned down but at the same time, that got to me even more because it was like watching someone who has just lost a leg trying to be brave despite it all. Thanks for the great review Caroline. I have not read this but I have read John Hersey’s “Hiroshima” as well as other sources about this event. There are so many horrendous stories in history, especially arising out of World War II. Yet , even though there were actually worse bombings in terms of loss of life, I find that tales coming from the two atomic attacks on Japan to be the most troubling. Perhaps it is because there is a danger that much more powerful nuclear weapons will be used again on a much larger scale. Thanks, Brian. I think the scientific aspect of it, the possibilty that even more horrible weapons could be used makes this so hard to read. Who can gurantee that not some mad man will once decide to throw such bombs on all the countries. Hersey is generally mentioned together with this book. But I must admit, I’m not ready to read something else about Hiroshima in the near future. This sounds like a haunting story and that coupled with the beautiful paragraph you have selected actually made me curious to read the book, even though war novels are not really something I would choose on my own. I can imagine those leaves cascading down and it made me think how people learned to see beauty in such a small and ordinary thing as a few leaves blown by the wind. I love Japanese literature because the authors always manage to capture fleeting beauty so well and I thought this was the true achievement in this novel that despite this incredible horror there were such passages. Or the joy about some food they hadn’t had in a long time. Tny things. I have a particular fondness for autumn leaves that’s why I liked this passage especially. But it’s still a tough read. For me the novel is all the more relevant in light of last year’s earthquake and nuclear catastrophe in Japan. The kind of book that still has a lot to say to the present world. I’m glad to have read it. My review here. Thanks for particpating, Rise. You are very right, I was thinking of that as well. A lot of what I saw on TV last year, this quiet pain, is present here, the helplessness, the lies of the authorities. It’s sadly relevant still. Caroline – very nicely done post. As I commented on Rise’s review, I’ve shied away from Black Rain for years since I’ve felt overwhelmed enough by what I’ve read of the bombings, but I’m sure it’s an important testimonial – with, as Rise notes above – critical relevance given the nonchalant manner in which even a nuclear accident like Fukushima seems to be largely shrugged off. Thanks, Scott. I’m glad I read it but it wasn’t easy, there is something in the way he describes the pain and how they quitely but sadly observe themselves for signs of the illness. I had a feeling that only one yera after this horrible incident, nobody speaks about it anymore. I think the way he wrote about Hiroshima, the diary entries, it worked very well. The details are so heartbreaking. Caroline: I’m not about to argue that this is an outstanding novel, but I really don’t think I could read it. Well maybe if you paid me. A lot. There are many awful episodes in the history of mankind, but this is right up there. I don’t think I could commit to reading something so painful. Give me a good old murder novel any day of the week. This book has made me reconsider the Literature and War readalong as it was too hard for me. I will not include this type of book anymore. I’m not saying I wouldn’t have read it, I would but at another pace. I think we cannot really rate wars or incidents as for every individual caught in it , it’s the most terrible thing but looking at it from afar, I think there was never before or after anything like this. I even I was naiïve before reading the book. It must have been much worse than anything I ever imagined. I really wanted to read this one for the discussion, but I found it hard to get into. I couldn’t get past the first few pages, I didn’t like the writing style, but I think it was more that I wasn’t in the mood for such a book. You make it sound so good, so I expect I’ll give it another try at some point. I understand. Anna. You cannot force yourself. I thought the beginning went surprisingly fast it’s after 100 pages that it got quite horrible. I admire you for reading this, and know I couldn’t. I feel that I did my ‘stint’ with horrific books when I was teaching and prepared a lot of Holocaust literature. Too many books of this kind can mess quite badly with one’s psyche, I find. Ultimately, we can’t go back and help those people, we can’t necessarily prevent it from happening again. Now that doesn’t mean we shouldn’t read books like this – on the contrary, it’s important that we don’t forget what occurred or minimalize it. The atomic bombs are surely up there among the worst war atrocities ever. If only one of the requirements for leading a country was to read some of these novels – it might put a brake on easy war-mongering, you’d hope! No, we cannot chnage the past but maybe it could help prevent, who knows, it’s somewhere at the back of my mind. I know by know that next year’s readalong will be of another kind. I will still do it but the books will not be as explicit anymore, I’d rather include Elizabeth Bowen. It was not amusing reding this and I feel I already had a few very hard ones last year. I love your review and it makes me want to read it even more. The bomb has greatly affected those people even till today. Most woman born at that day around the bombing area are still single because no one wants to have a child cripple due to the radiation sickness. I saw a documentary about the bombing….it was so sad and I can still remember it clearly. I really would love to read Black Rain one day. The book captures all this. by chosing Yasuko, a young woman loking for a husband after the bomb, he showed what consequences there were for the society as a whole. In adding the diaries he could include as many details as possible. It was even more explicit than many films you could see. As horrible as it is it’s fantastic book. I liked how much you learn about the Japanese culture. I agree, I always do as well. It’s definitely one of the countries whose literature I like the most. Wow that does sound like a tough read, but I think I may add it to my list. I can’t even fathom what it was like for the people when the bomb fell–not to know anything about it until it was too late and then still to know what it was. How horrifying. Nice review. I’ll keep an eye out for this one. It’s an amazing book. It must have been hard to write as well. I found it particularly harrowing to see ho it started to dawn on tem that this was no “ordinary” bomb that other than the destruction and the burns, it left something which would alter their lives, their society forever and scar them for decades to come. A tough read indeed. You would have to read it slowly. I put it aside more often than I usually do. I’m still glad I did read it, there was so much I didn’t know or imagine. If I had been much younger I suppose it would have affected me too much. This book has been on my radar for a while – the price has always been too exorbitant though here in India :-(. But I understand why you called the book beautiful despite it dealing with such darkness and horror – sometimes despair brings out such beauty in writing. I was lucky, I must have ordered one of the last copies with a decent price, now it’s not available. Too bad it’s that expensive in India. I think it had a lot of beauty despite the horror. The kindness between the people was part of it as well. The novel is generally also praised for its humour and while I saw which parts were probably meant, I couldn’t find it humurous. I’m glad I read the book mainly because it met my number one requirement, that I learn something However, it was a chore to read and not because I found it horrific. I found the writing to be average and some of the plot points were boring. I also found the ending unsatisfactory and I don’t care that it was artful. 1. “Those who forced themselves to work gradually wilted, like a pine tree transplanted by a bungling gardner, until they finally expired.” Great simile, but one of the few. 2. Too much talk of food. 8 pages on Shigeko’s diet. Give me a break. I had to skim that (something I hate to do when I am reading). 3. The idea of flashing back robbed the suspense of who would survive. 4. The huge number of corpses was numbing after a while. 5. The most disturbing part was when they passed by the little girl clinging to her mother’s corpse. Was that supposed to be a cultural thing? I found it hard to like the main characters after that. 6. The wandering reminded me of “Coventry”. This book could have used a map. 8. Those were some incredibly verbose diaries! 9. Low moment – description of the “bamboo film” pee – I could have done without that passage. 10. The book was good when it stuck to the bombing and the aftermath, the rest was weak and uninvolving. The book should have been a lot shorter. 11. As realistically morbid as it was, he pulls his punches by having only one of the trio suffer terrible consequences and only toward the end of the book and then closes the book with her still alive and possibly recovering. Go big or don’t go, Ibuse. This book is an excellent sequel to Hersey’s “Hiroshima”. However, noone should read this instead of Hersey. Hersey’s book is much superior. Since I haven’t read Hersey, I cannot say anything about that. I think what you criticize about the writing is exactly its strength. This is clearly documentary style and that’s what it wanted to be. That way he could avoid melodrama. I liked the high amount of detail, especially also about the food. It gave me a feeling of how bad the situation for the civilians already was before that hellish bomb was thrown on them. They had suffered incredibly before. The part with the little girl disturbed me a bit at first but I suppose when you’re inthe middle if it all, seeing all the death and pain you cannot react anymore. I thought it was hard to read and the style made it harder, that’s for sure but I think the choice to write this way was justified. In any case I’m not going to read Hersey any day soon. I was struck by much the same things you were. The horror of the damages, the fear as to what was coming next, the nightmare world of the search for relatives in the city and the horrible injuries found. Thanks mel, and thanks for the link. I will include it as well. There are elements I didn’t even fully absorb while reading. You are right, the way they were looking for relatives… so tragic. It’s an entirely tragic book. I’m in the camp of although it was depressing, the sheer humanity represented in the book raised it above that description & in the end I found it life affirming, just the simple fact that despite the bomb, the authorities lack of knowledge/ lack of understanding, trapped in a rigid structure without any redeeming feature, the individuals strived, survived. As I stated in my post, This is a book where nothing and everything happened, where everything changed in an instance, one giant exclamation mark decimated all that was known, and yet life in some form goes on.This is a book that the very idea of screams horror and yet where there is humanity, there is humour- where there is life you’ll find hope. Glad to see you enjoyed it as well. Yes, it’s an amazing book. You are right, I think I couldn’t put that into words but the way some things were described, even the food and all those details is ultimately life affirming. The helplessness just got to me too much to see it right after I read it. I saw beauty but not necessarily humour or affirmation. I will need to read your review, I added it to the post. I’m late but I’m glad I am reading your post after everyone left their comments. It’s interesting. You give a good idea of the book but I’m with Guy on that one, I don’t think I could read it. I’d buy it and it would stay on the shelf forever because I’d never have the courage to start it. I find it difficult to read about human sufferance like this. It’s not acting very responsible since I’m just in my home with nothing to fear and not reading those books for comfort reasons is a bit like killing these people a second time by refusing to know their story. I know what you mean. I’m the same when it comes to animal suffering which gets to me much more. It’s the type of book one should read slowly. But comparing with other books, it didn’t depress me as much as Shusaku Endo or Primo Levi’s books last year. I too would have to be in the right mood to read this, Caroline, but your review has piqued my curiosity. Here in the U.S. the bombing of Hiroshima is considered a “necessary evil” and is seldom discussed. How I wish it never happened. Their story deserves to be told…. I know that’s wahat’s often said and that without this drastic measure the war would not have been ended and Japan would still engange in one war after the other. It’s unfortunately true that Hiroshima and nagasaki in Japans’ and the bombing of Dresden and the other German cities has stopped both countries for good. They both had a history of starting wars and overrunning other countries. While I think the authorities at the time were sure to stop japan, I’m not sure they really knew how much suffering it would really bring. Or did they? I think the problem is nucelar power as such, as Rise for example pointed out in his review. He also said his one regret was not making the bomb in time to stop the Germans. I also thoght they might not have imagined the whole extent of the damage and destruction but they must have know that it would be lasting. I have this thought about science quite often. We cannot generalize but some bad things have been invented by scientists. I never thought about that, that they could have used it on Germany as well. I’ve read Richard Rhodes’s superb book The Making of the Atomic Bomb that follows the scientific story (and that of the individuals involved) from the late 19th century up to the Manhattan Project. They knew they were investigating the fundamental forces of the universe, and in fact often imagined worse outcomes from detonation then what actually happened. The Manhattan Project was originally a race with Germany. It’s just chance that the European war ended ahead of the weapon being ready. Not to say it wouldn’t ultimately have been used on Japan as well – but I wonder how different history would be if the only use of an atomic bomb had been, say, Munich or Dusseldorf. Would Truman have authorised it? Impossible to know. Thanks for sharing this and mentioning Rhodes. I’m quite underraed in this department. I really wonder as well. What if Dresden (or any other German city) was now associated with the Atomic Bomb and not Hiroshima. I wonder how you live with an invention like this? I will see if I can find this film on Oppenheimer. Great, thanks a lot. That will interest others as well. I am sorry for intruding here. That quote from the Bhagvad Gita by Robert Oppenheimer is good. But I hate it when scientists (and politicians and army generals) after doing their work, quote from books like the Bhagvad Gita and the Bible and the Buddhist scriptures. No amount of quoting is going to change anything. I’m glad you say that because this is also an issue I often have in war movies that after a lot of killing has been done someone qoutes the Bible as if it justified it all. It’s even wrose in real life. It’s not going to change it. Wish I’d been able to get a copy in time 😦 Still, thanks for the review – I’m sure I’ll get to this in due course (and I’m sure it will be a much better read than ‘Coventry’!). It’s sad you couldn’t make it but it’s hard to get a copy these days, others had problems as well. I hope you will read it sooner or later. I’ll be interested what you link of it. Better, maybe but much harder as well. Also dry but worthwhile. Sounds exceptionally powerful Caroline. I have read Hersey’s book and I can understand reluctance to re-visit suffering on such a scale. Of course the unique thing about Hiroshima and Nagasaki is the extent of the destruction stemming from a single device, a single act. But in general I don’t think it’s useful to “rank” things like this. Certainly the accounts of being bombed in London, Dresden or Guernica all contain the same core horror that comes from the utter helplessness of those on the ground. It makes me wonder about the relative eqanimity with which we accept air campaigns (eg in the Balkans, in Iraq etc) as the “acceptable” face of modern warfare: using terms like “surgical” and “precision” that grossly distort the reality of what dropping bombs does. 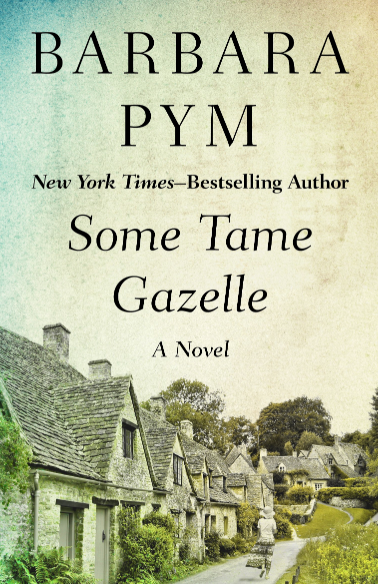 Yes, it really is a powerful novel but also because he managed to share beauty despite it all. The vocabulary generally used to describe such “interventions” is cynical. I think what makes people rank this as one of the worst is the after effects and long term damage caused. I’m interested to read Hersey one day but I will need a longer break. another great book, that I feel is as valid an expression of this point in time & beyond is the Post-War Japanese Poetry collection edited & translated by Harry & Lynn Guest and Kajima Shozo. here is a poem by Ibaragi Noriko. People around me were killed. With my blouse sleeves rolled high! Thanks you so much, Parrish, I like this poem very much. I haven’t read any Japanese poetry apart from Haiku’s, I’ll have to see if I can find the collection. Beautiful poem. And very sad too. Sorry it’s taken me so long to come and properly read your post, but I’m glad I have been able to read the comments as well–all very interesting. I found this very hard to read as well–it was quite intense and very heavy even though I don’t think it was in any way gratuitous. Only it’s hard trying to wrap your mind around something as enormous and destructive as this. I had to break my reading up into one hour sittings–any more just felt overwhelming. That said I am so glad I did read it and I think it is going to stay with me for a very long time and I am curious to read more about it all–but not right away, and maybe from a more historical (distanced?) viewpoint. I’m almost amazed that Ibuse toned things down–how could it have been even worse? Very sad to think about this. It’s hard to imagine that being there was even so much worse. It was very hard to read but at the same time I felt I learned a lot. I always thought it must have been horble but now I know much more why and how the horror looked like. Oh, and I agree that there was a beauty about the culture of the people that came out in this book. It makes me want to read more Japanese literature now. 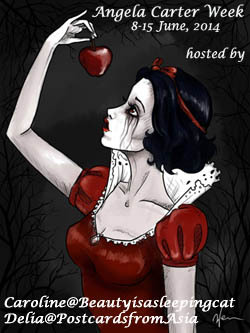 I’m glad I already singned up for Bellezza’s challsnge and will get started soon. While the focus wasn’t beauty in this book, it still contained a lot of what I like in Japanese writing. It’s well worth reading and if you get to it, I’ll be very intersted to read your review. Beautiful review, Caroline. It looks like this book is deep and moving and heartbreaking. I have read just one book on Hiroshima. It is a comic called ‘Barefoot Gen’ which was very heartbreaking. I enjoyed reading the conversations in the comments, especially Parrish’s poem. Thanks, Vishy. It was so horrible to read about everything that happened and at the same time to see how they still could see and find beauty. There’s a great dignity in this kind of suffering. Most people who read this are deeply affected. That poem is very moving, I was so glad he shared it. Directly from Guarulhos city, Brazil, from a Portuguese native speaker. I agree with you, it is necessary to read Black Rain little by little, because what Ibuse describe is so sad, this year I read the novel for the 2nd time and I felt I was more affected this year than last year. Well, perhaps it is because this year I read a newest translation. Here in Brazil we have 2 different translations. Hi Lucia, thanks for visiting and your kind words. I suppose it’s not an eay book to translate. It’s not an easy book to read. I should read it again some day but it’s so hard and I would have to take it very slowly. It’s an excellent choice for a reading circle or readalong as there is so much to discuss. I love your Proustian blog name!